The service Pro Internet Marketing provides is to increase your net income. The tool we use to do this is a company website. Our goal is not just a website, or visibility in Google rather our goal is delivering paying clients to your business. We have a team of content writers, website designers, website developers and search engine optimization experts. We strive to be one of the best web design companies and a top SEO company in Rhode Island. Some clients are very involved with the website, content and Google visibility some clients leave the work to us and simply approve the work we have done. The result is a live website that generates income. Many businesses have made an initial payment to a website designer and the project gets bogged down and the site can take months or years to get live. This never happens with us. Our websites go live 4-8 weeks once we start working on them. We work locally with other businesses you probably know. I have been trained in SEO by one of the Premier Lawyer SEO Companies. I have been working with on marketing small businesses for long time and I have been taught by Verizon and FindLaw, but also by my clients, what works and what doesn't in terms of marketing. I bring knowledge of what types of clients search the internet for what type of products and services. I often have knowledge of areas that can have higher profit margins because I have worked with businesses in your industry before. Tom is the Owner of Pro Internet Marketing and heads up a team of content writers, website designers, website developers and search engine optimization experts. Tom has over ten year experience helping small businesses grow their client base through online marketing. He has worked for Verizon and Findlaw consulting with these businesses on their on-line marketing strategies. Tom supplemented his training with these businesses by being a participant in SEO trade groups, gaining Google certifications and SEO Certifications. Tom lives in Rhode Island with his wife and two boys. 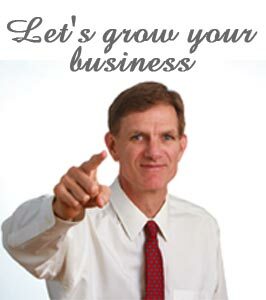 "I am now proud of my website and how it portrays my business. New clients now find my website and call my office for appointments! I am lucky I was referred to Pro Internet Marketing. Thank you." - William Balkun, Esq.